When it comes to service vehicles, there’s no doubt that in Australia, the Toyota HiLux is king. So when you need signwriting on your HiLux, Perth Graphics Centre is the place to head to. 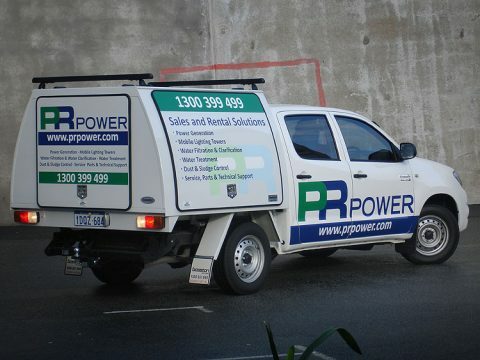 For loyal customer PR Power, Perth Graphics Centre used vinyl cut lettering, ensuring a long service life for signage. 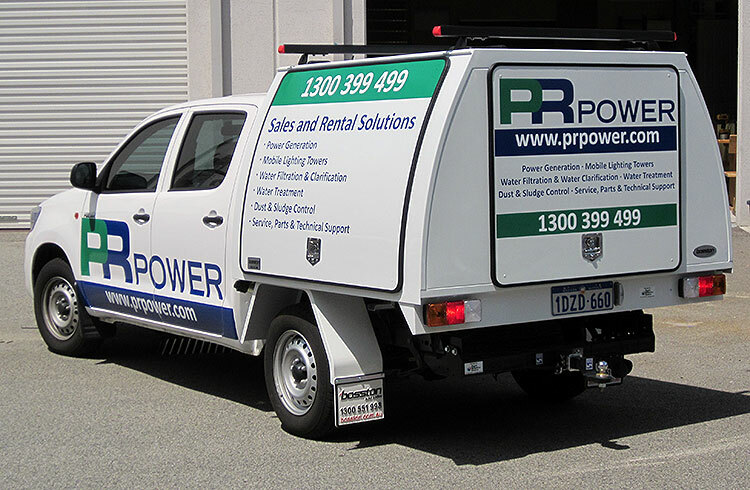 We can also combine digital print with vinyl cut lettering to make your signwriting really “pop”, and depending on your budget, a vehicle wrap may also be an option. Either way, Perth Graphics Centre’s elite team of designers and installers will make your car, ute or truck signage look its best. If you’d like one of our professional team to give you a quote, click here to send us an email. 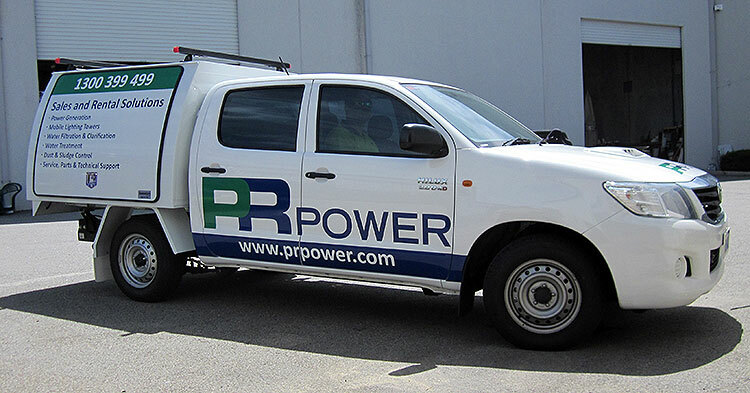 Perth Graphics Centre is often asked to design vehicle signs for work utes, and in this case, PR Power, a rental company, asked us to fit vinyl cut lettering to its Hilux. 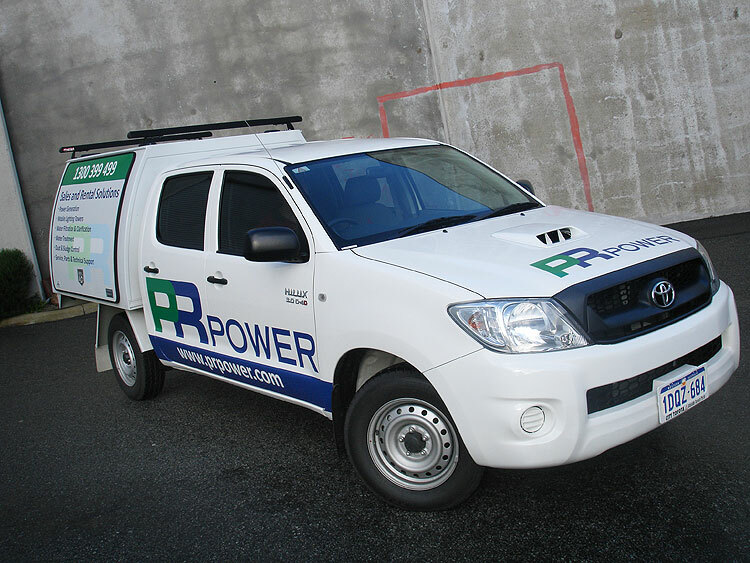 Using two colours, we achieved a striking result, and one that turns a boring white Hilux into an interesting moving billboard. 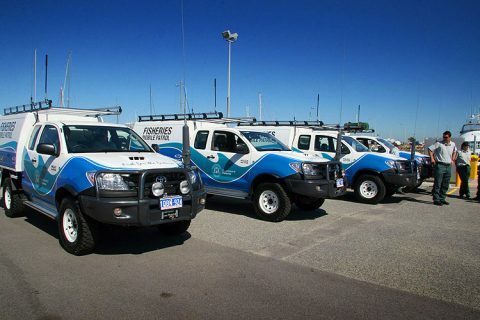 The Hilux commands attention no matter where it goes, and as a service vehicle, makes itself easily identified – and that’s the point of signs, really. 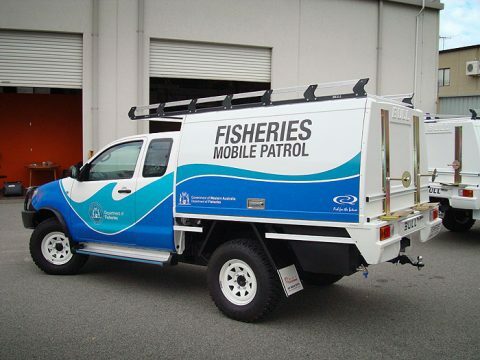 Do you have a Hilux you want signage on? If so, call us and ask for a quote.